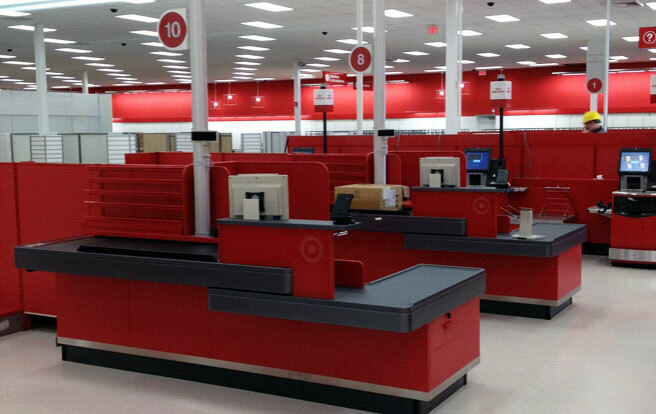 In January, American retail superstore Target announced it will discontinue all operations in Canada and are in the process of closing all its 133 locations as well as laying off over 17,500 workers. Hundreds of millions of dollars of inventory will be cleared in a liquidation sale with items marked down by 30 per cent for the first week, and up to 80 per cent come closer till Target’s full pull out. According to an internal company email, 36 Target Canada stores have stopped receiving merchandise shipments while others are being bombarded with extra product. Stores will have various mark downs depending on the amount of surplus product as well as their geographical location. A once promising new carrier for many Canadian Target employees has vanished and they feel betrayed with the measly compensation plan offered. Gregg Steinhafel , Targets’ failed CEO who departed last April is taking home 60 million dollars in a severance package. That is more than all the 17,600 are getting as part of their collective severance deal. Employees are distraught and demoralized. A manager at a Toronto location saying last week close to half his staff did not show up for a shift and managers continue to describe “nasty morale” as it preps for its liquidation sales. “I’ve got some people that have pretty much opted out,” the manager, who wished to stay anonymous, told the CBC. There are also reports that workers are being forced to work long unfair hours to move the remaining product. Target Canada was brought down by terrible customer service, lack of product selection, bad presentation, poor inventory management and pricing that didn’t meet the value proposition customers were expecting. These were all under the control and influence of management. Walmart didn’t have to do anything but continue believing in its successful merchandising model that protects its strong presence in the Canadian marketplace. What big retail competitors can learn from Target Canada’s demise is that you can’t simply copy a successful model into a new and unique marketplace. Yes, Canada is unique. Even the various Provinces have their own characteristics and market niche. Quebec has style and is willing to pay extra for something different and more upscale, where as in Ontario, value is king. Target maybe took on too much, too fast, before proving it could support the new wide and disperse supply chain that it needed to feed the 133 stores across the country. Target also supplied the majority of items for its Canadian stores from US distribution centres. The Just in Time (JIT) inventory management system used was set to disregard initial sales as exceptions, attributable to customer’s interest and excitement with initial store opening. Well that didn’t last long as shoppers soon found store shelves empty. Did management think no inventory was better than excess inventory? More information about Target’s distribution centre network can be found here. The family-friendly model implored by Walmart is a proven winning formula around the world. By drawing in parents with their kids, it allows for a wider surveillance of the products for sale. Placing age specific products in direct opposite corners of the floor, it allows for an opening in the middle floor for the higher priced products and ‘essentials’ to be sold, which is what keeps your company afloat and able to meet a bottom line that will keep you in competition with the likes of Walmart.